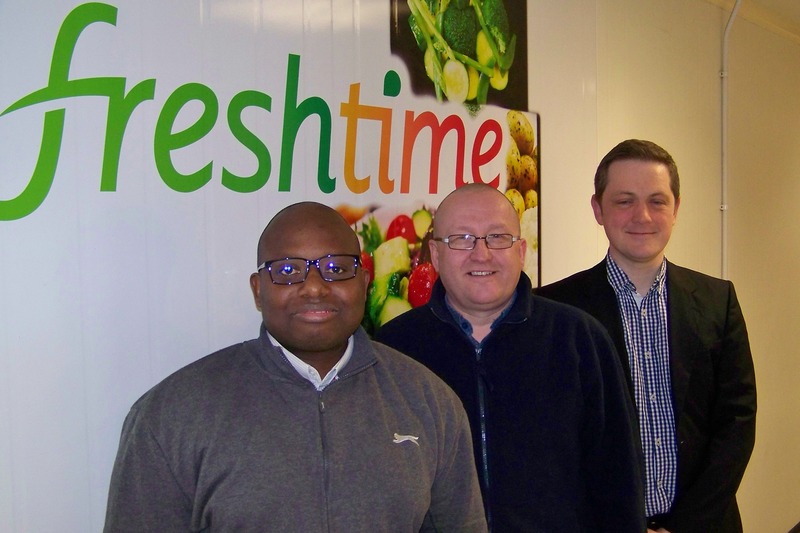 A trio of new roles has been filled at Freshtime UK as the leading fresh chilled food producer continues to expand its workforce at its headquarters in Boston, Lincolnshire. Lewis McKeown (Technical Manager), Nick Ogden (Process Manager) and James Zamimba (Production Planner) joined the team earlier this month as the latest additions to the growing team. The new roles have been introduced to enable Freshtime to develop and deliver innovative new products for clients, and continue its impressive track record of growth. Lewis McKeown, from Lincoln, comes from a quality assurance background and gained more than a decade of food industry experience with Bakkavor and Fenmarc Produce Ltd before becoming the technical manager at Noble Foods. As the newly appointed Technical Manager with Freshtime, Lewis will work closely with customers to ensure that technical standards and product specifications are maintained. Nick Ogden, whose career in the food industry began in 1995, has previously worked for Bakkavor and Moy Park. As the Process Manager, Nick will act as the link between the business and its customers in the development of products from concept to launch. Taking on the challenges of the day-to-day production programming is James Zamimba, whose background in accountancy has helped him become an expert planner. Originally from London, James has lived in Lincolnshire for the last nine years and brings experience from a similar role at Bakkavor. These latest additions are part of an ongoing development plan to take the company to the next phase of growth. The Managing Director of Freshtime, Mark Newton, said: “I’m delighted to welcome Lewis, Nick and James to the Freshtime team.